Everybody should visit Byron Bay in New South Wales at least once in their lifetime. Honestly. It truly is my happy place and has been ever since Hubby and I first visited while backpacking in 2008. So I was very excited when I got commissioned to write a travel feature about a mind, body and soul break to the area for Australia and New Zealand magazine in the UK. Obviously, that sort of break doesn’t work with three kids in tow, so it meant a girlie holiday!!! I’ve written a big feature about the trip for Australia and New Zealand magazine (which you can read here), but I wanted to share some more photos and tell you a bit about the places we stayed as it was tough trying to cram everything into an 1800-word article! 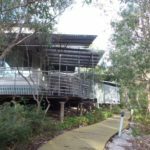 During my stay in Byron Bay I got to experience two very different types of Byron Bay luxury accommodation, as recommended by Destination New South Wales. 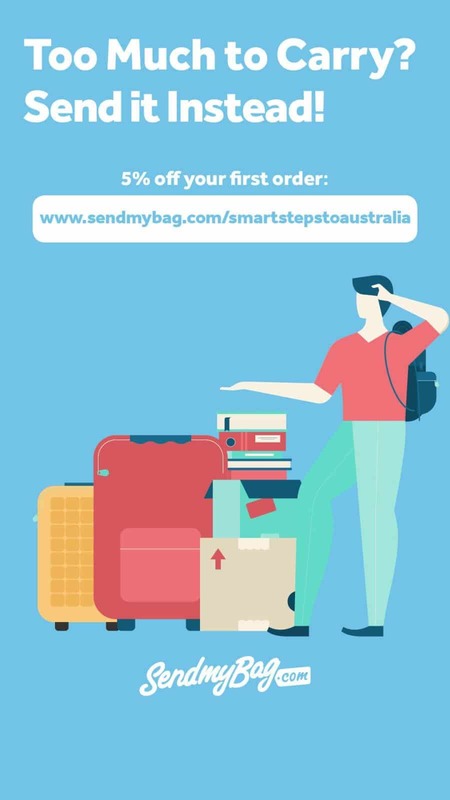 (You can check out the very best deals online here). 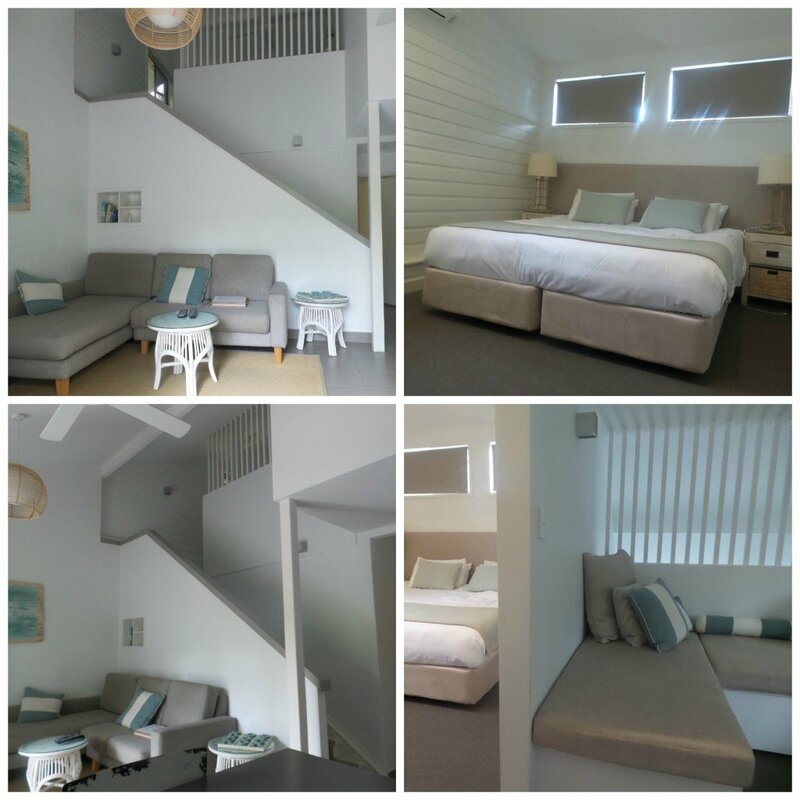 I spent the first two nights in luxury self-catering accommodation at Bayshore Bungalows with my friend Amanda. These modern, bright self-catering cottages were smart and luxurious. I loved that they were decorated in neutral colours with a strong beachy vibe – perfect for the location. And the windows everywhere helped it feel bright, light and airy. The decor really helped you relax the moment you stepped through the door. Nestled just out of town, we were far enough away from the crowds as it was schoolies week when we visited (when all of the newly graduated students pile out of school to party). At the resort, there were tennis courts, a bbq area and a secluded pool so it would have been very easy to chill out and enjoy the surroundings without venturing far. 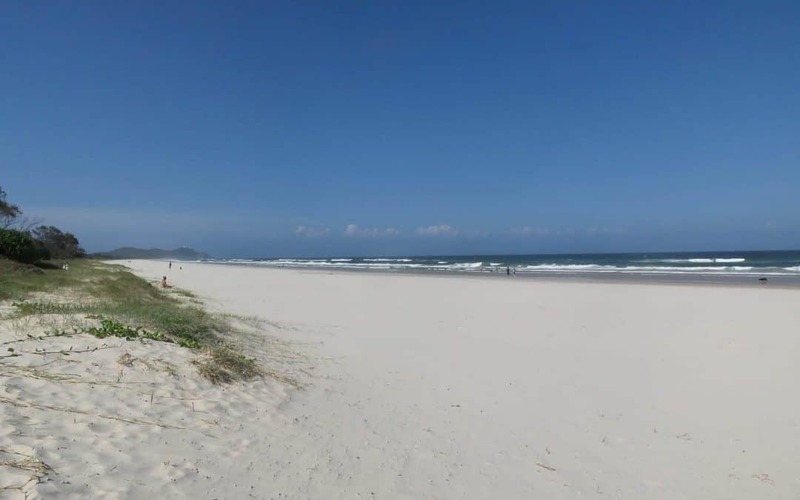 There was also a beach within walking distance and a bar just along the road that served food, so you can stay away from the busyness if peace and quiet is your goal. Bayshore Bungalows is a great option for friends or families looking for their own space – it was much better than staying in a cramped hotel room plus it meant we could cook meals (OK, that obviously didn’t happen as we were mums on holiday so we ate out, but the point is we COULD have cooked if we’d wanted to as there was a supermarket a couple of minutes down the road). It was also nice being able to run on our own schedule for breakfast. The patio was great spot to enjoy a glass of wine in the evening as, being knackered mums, we didn’t have the energy to stay out late partying. I LOVED having air conditioning in the bedrooms as well as the living area too – it was a real luxury that I don’t have at home. 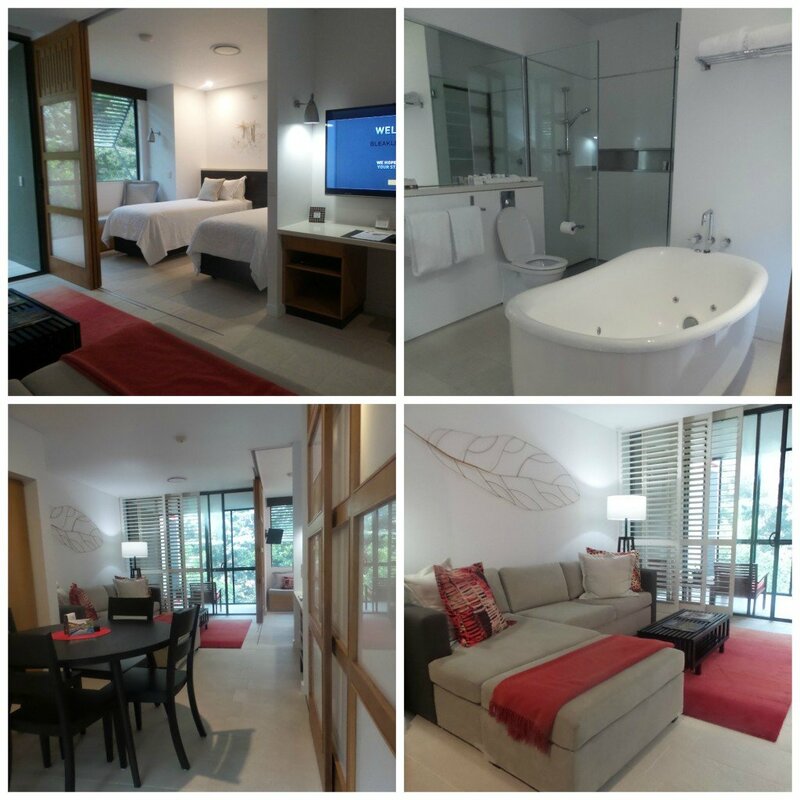 Our two-bedroom accommodation was a great size – there was even a lovely seating area upstairs around the corner from my king-size bed making it perfect for families looking for their own space away from each other. It’s definitely somewhere I’d stay with my family as I could see us hanging out in the pool and teaching the kids to play tennis here. Check out the latest prices at Bayshore Bungalows on Booking.com now. 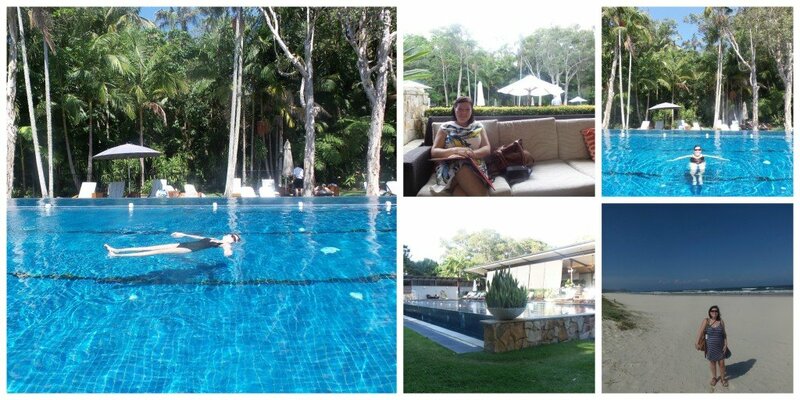 The next two nights I spent with my friend Mel at The Byron at Byron – a luxury rainforest retreat. The luxurious suites are surrounded by trees and have panoramic viewing rooms at either end (which came in very handy on my first afternoon there when a massive storm hit as I got to sit down and view it in spectacular style). The free morning yoga session on deck gave us an invigorating start to the day, and it even made me make healthy choices at the well-stocked breakfast buffet. So instead of opting for pancakes and a fry up like I usually would if I’d been on holiday with the kids, it was all about fresh fruit, juice and cereal. 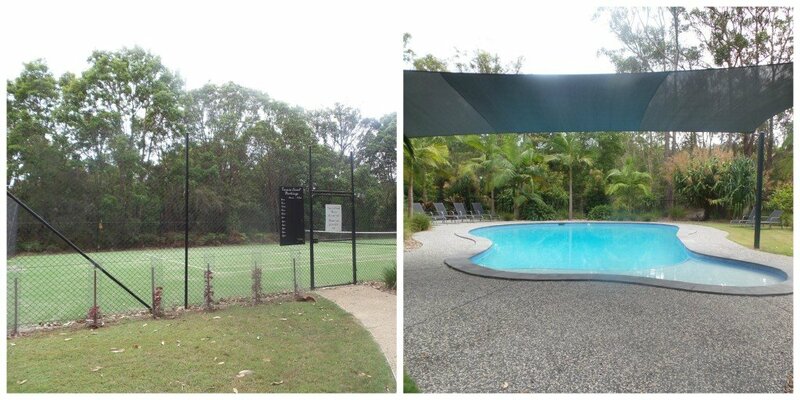 Check out the latest prices at The Byron and Byron on Booking.com now. 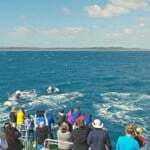 During my trip , I did the Byron Bay Adventure Tours Big Day Out. 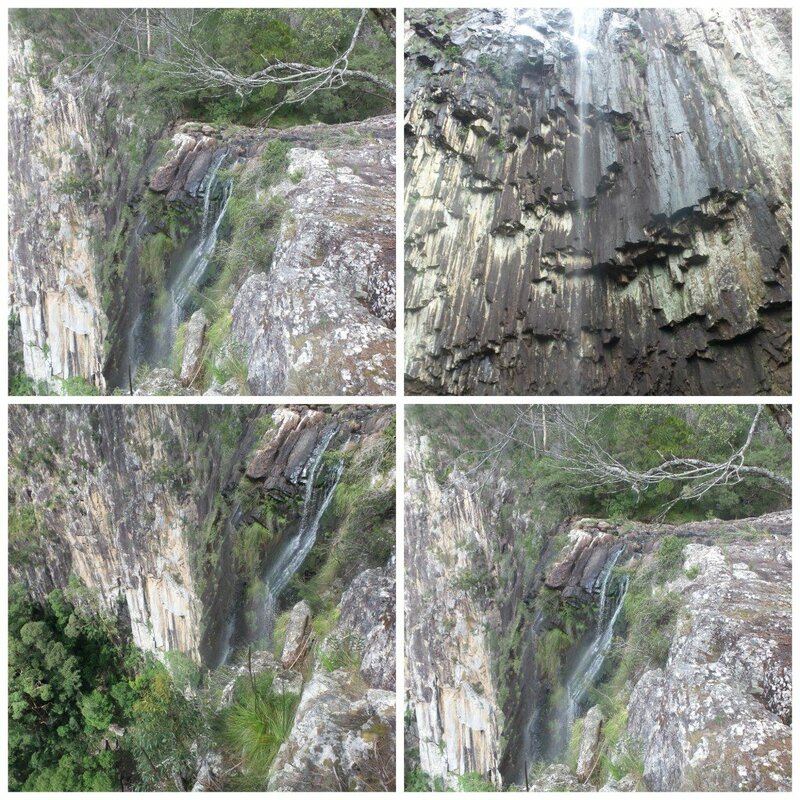 This involved a hike to Minyon Falls with a swim in the waterfall at the base. Although it was pretty awful weather, and I got eaten alive by leeches, this was a real highlight of my stay. Getting out into the landscape is one of the best ways to create a memory of a place and swimming in freshwater was just AMAZING, even in the rain. 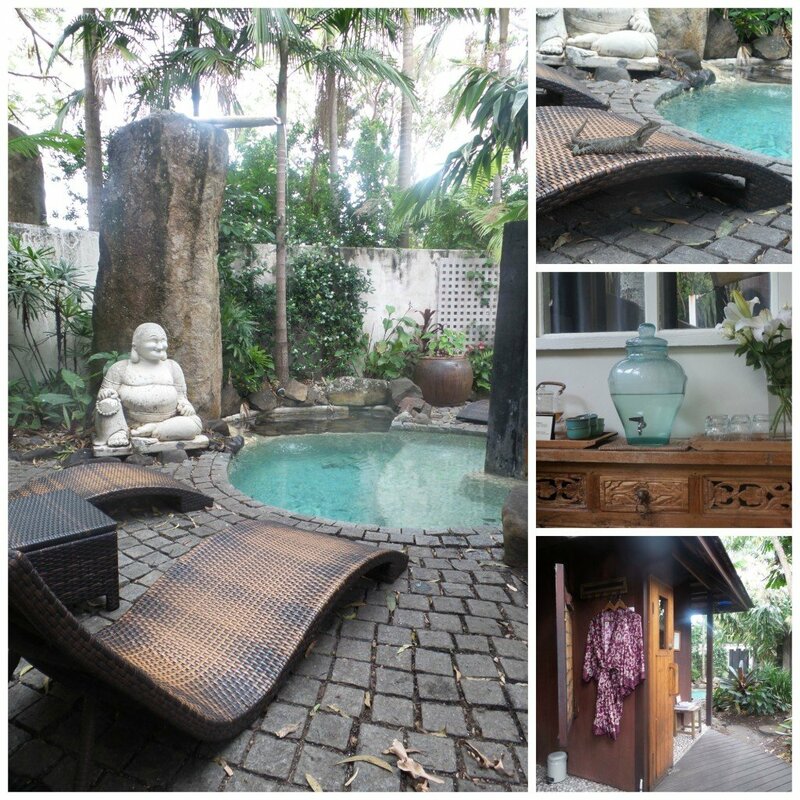 Amanda and I visited the Buddha Gardens Day Spa and in one afternoon had our worries and stresses wiped away. A massage, facial and body brush, along with herbal teas, wildlife encounters and the lovely rainforest surroundings made it a perfect afternoon. 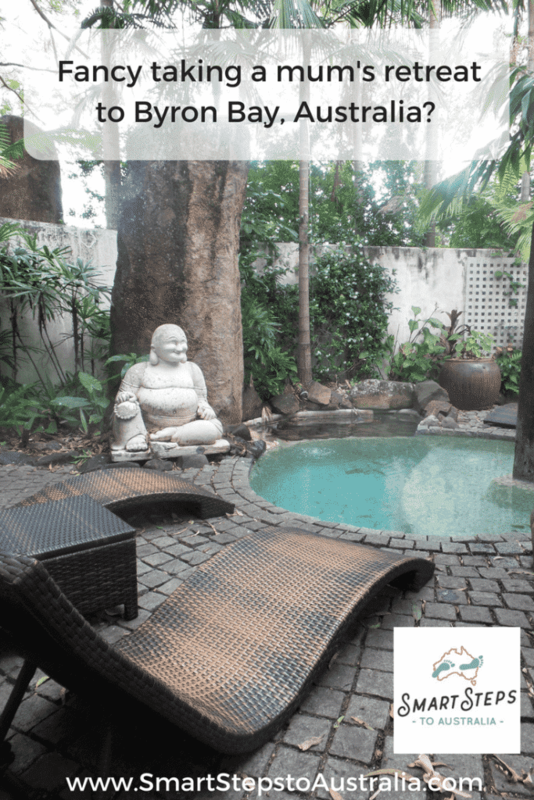 If you want to unwind in a day spa, Byron Bay is a pretty awesome place to do it. Byron Bay is THE BEST place for shopping and eating out. Clothes, jewellery, housey shops – you name it, you’ll find plenty to keep you entertained. And when you’ve finished there are a great range of restaurants and coffee shops to refuel. 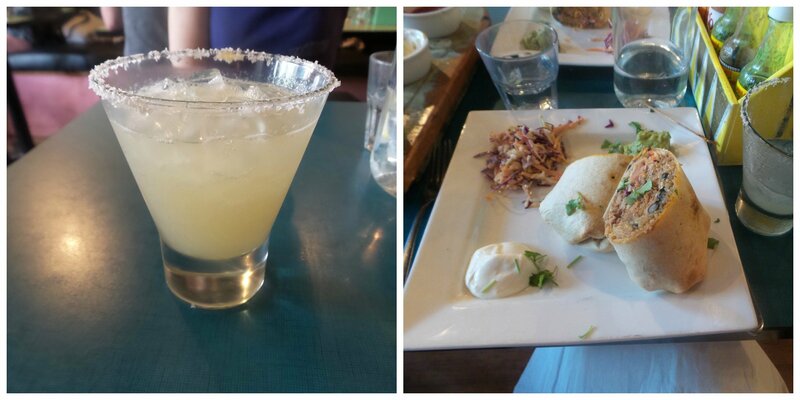 If you’re looking for the best places to eat in Byron Bay, the margaritas and burritos at Miss Margarita were just delicious. 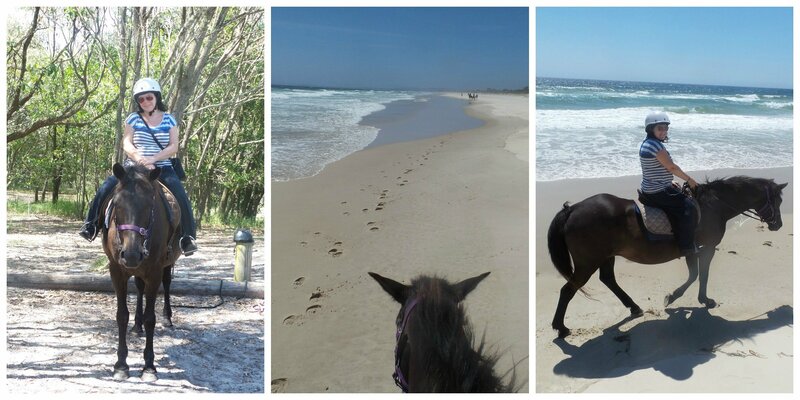 I finished the holiday off with a horse ride along the beach at Brunswick Heads with Seahorses Byron Bay. I think this is one of the best things to do in Byron Bay. The weather was perfect for it and it was an awesome way to see the rolling waves and deserted sand. Seahorses Byron Bay also host rides for kids, so I’m going to organise something for my gang the next time we’re in the area as I know they’d love it. 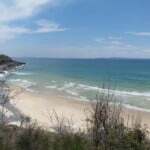 Book your beach horse ride in Byron Bay here. Four incredible nights, packed with so many amazing experiences. I’m very lucky to live just a couple of hours away from Byron Bay now, so I’ll definitely be heading back that way again very soon. I’ve taken away one very important lesson from the experience: all mums need a break. We need a chance to get away from the routine, to remember ourselves and have fun. It’s definitely something I’ll be trying to schedule in again in 2016. 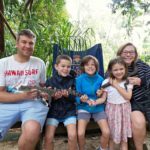 If you’re considering places for weekend breaks in Australia, you might also enjoy these posts on Rainbow Beach and Tamborine Mountain. If Byron sounds like your kind of retreat, you can find the best hotel prices now. Thanks so much to all of the businesses that hosted me while I was working on the magazine feature (Bayshore Bungalows, The Byron at Byron, Seahorses and Byron Bay Adventure Tours). As always, all views are my own. This post contains affiliate links. Please refer to my full disclosure policy in the footer.